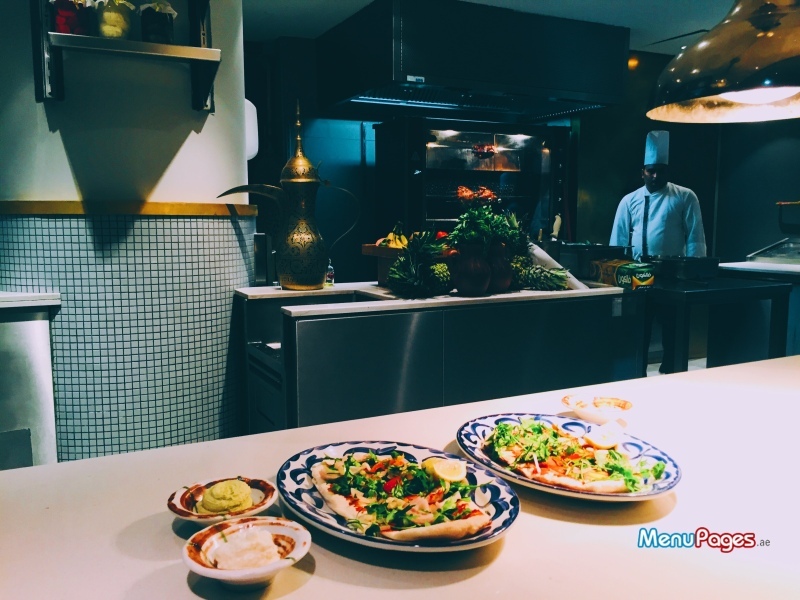 Perfect for tourists or Dubai veterans, Al Maeda serves quintessential Middle Eastern fare with Mediterranean vibes. Located by the shore, the restaurant and shisha lounge offers scenic views of the ocean. 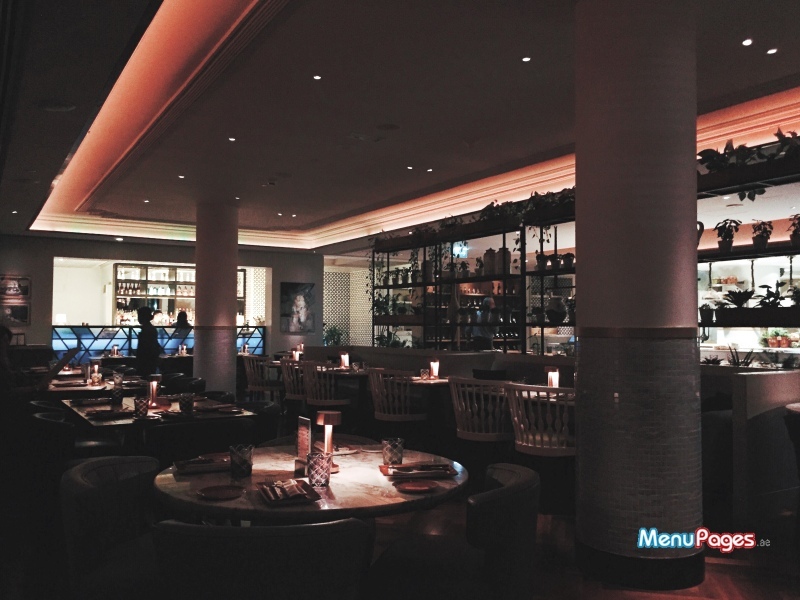 Ideal for various occasions – from candlelight dates to roaring family feats – the expansive restaurant features an equally expansive menu loaded with Arabesque delights. Reservations can be made at 055 166 8092. Located at the Double Tree by Hilton, simply toss your keys to valet. Welcomed with a smile from ear to ear, the seating left us spoiled for choice. 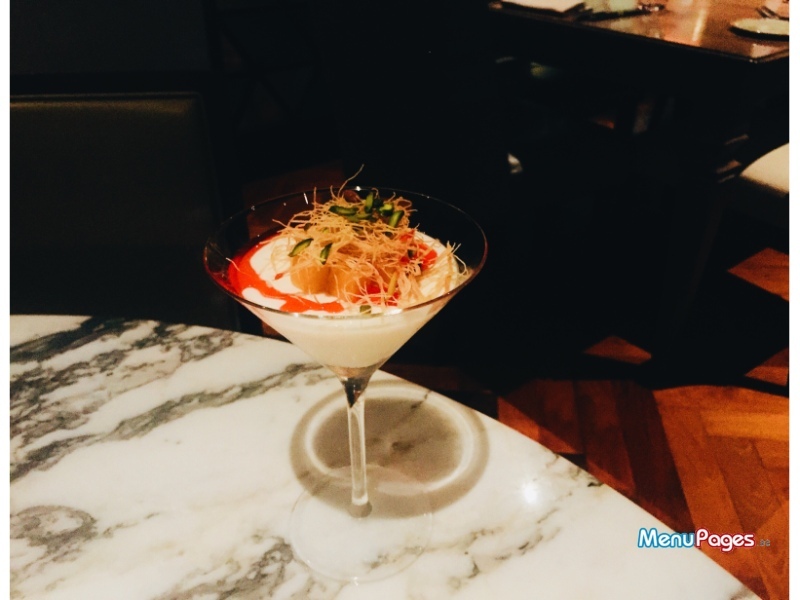 Al Maeda is an expansive restaurant with seating options that cater to various moods. From compact tables designed for intimate dates to communal tables perfect for banter with the chef, your options don't end there. 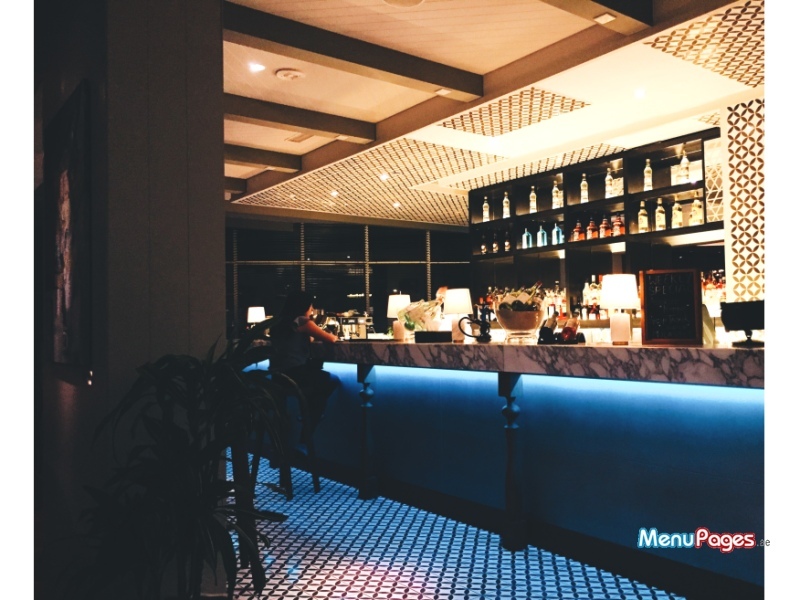 You can also choose to puff away on a shisha in the smoking lounge or catch up with an old friend over a drink at the glam cocktail bar. And if it's a truly special occasion, you can book the table that sits on an elevated platform, illuminated under its very own chandelier. Al Maeda's team is a well-orchestrated band. The chefs aren't hidden away behind the steamy walls of a secluded kitchen. They labor away in the beating heart of the restaurant, and actively interact with everyone that walks in. When asked where the restroom was, the chef bellowed the directions while kneading some dough before the waitress could chip in. Dinner was a three-course feast of fattoush, hummus, ganoush, savory pastries, a mixed grill of shish tawouk, meat kofta, lamb kebab and chops, a seafood grill of fish kofta, fish tawouk and jumbo shrimps, basbousa cheesecake, mango mohallabia, mint cooler and a grande rose mocktail. Bracing us for the savory feast we were about to encounter, we kickstarted our meal with Al Maeda's star mocktails – the mint cooler and grande rose. Vibrant and bursting with fresh ingredients and subtle flavors, they're the perfect summer elixirs. The seductive aroma of Al Maeda's baking flatbread wafted in from the kitchen. 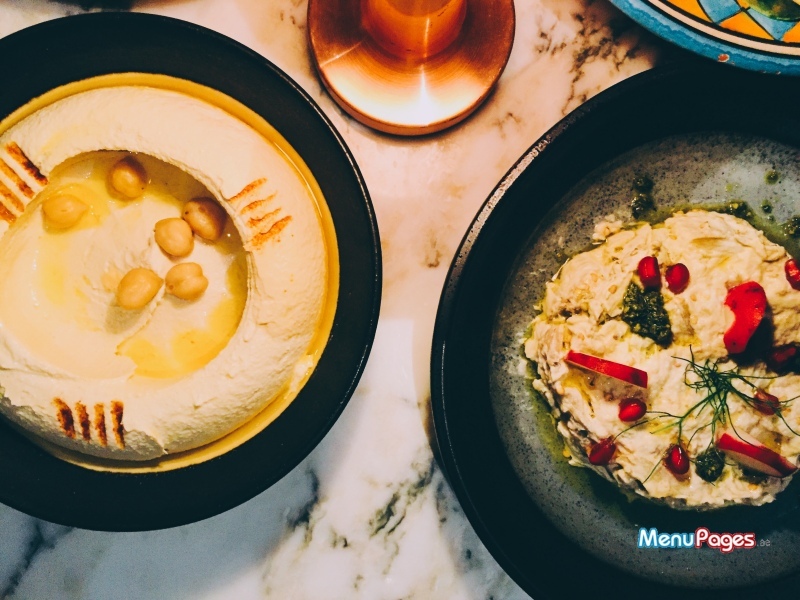 Sinfully soft and smoother than silk, we paired it with a picturesque mezze of ganoush and hummus. Fresh, creamy and boasting the chunky texture you only get with homemade dips – we wiped the adorably mismatched rustic bowls clean. The fattoush was one of the best we've ever had, drizzled in what should really be award-winning molasses. Balancing out our healthy start to the meal, we proceeded on to a plate of deep-fried pastries. 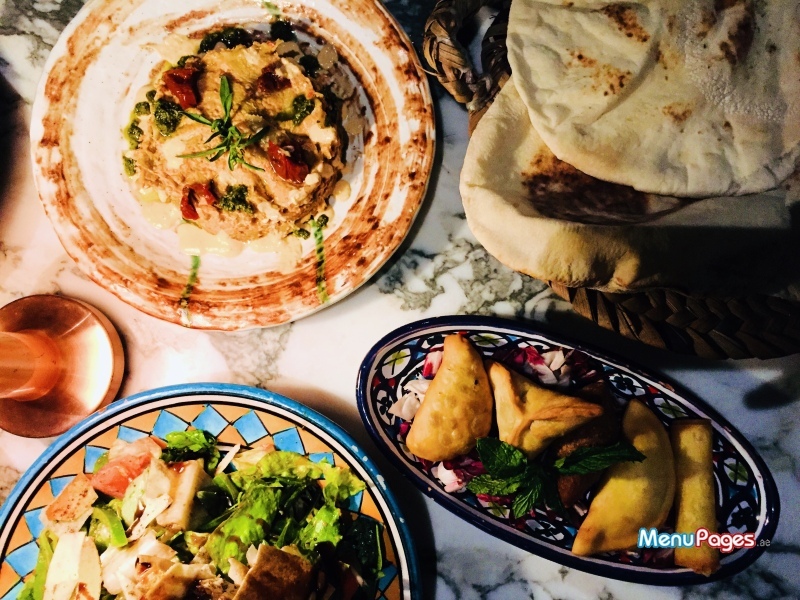 A quintessential assortment of classic Arabic pies, the selection included cheese rikakat, meat sambousa, kebbeh, and spinach fatayer. It's virtually impossible to not enjoy something that, when broken down, is a combination of carbs and oil. Still reeling from our bread fest, the second course arrived heaving with all the extravagant spoils of a Middle Eastern kitchen. 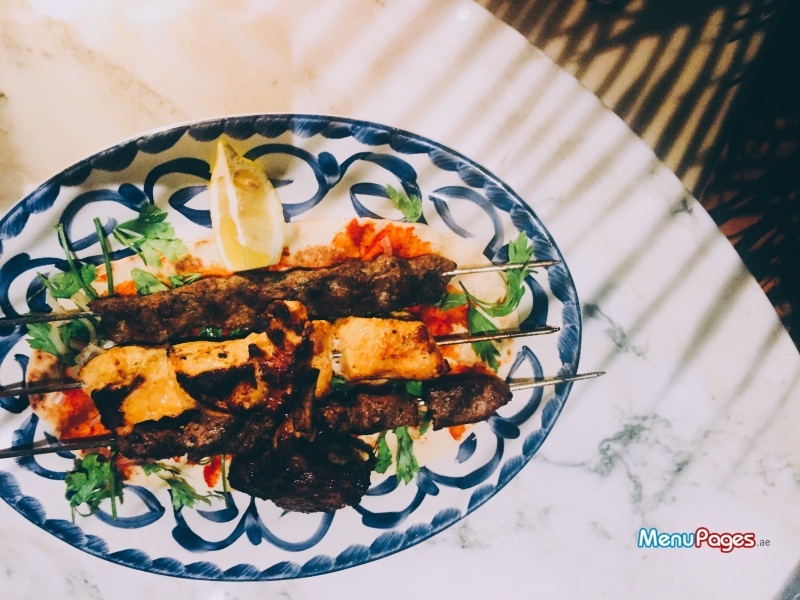 The Arabic version of surf and turf, our table gleamed with indulgent platters of grilled seafood and meat lying on a bed of onion, parsley, and chili smeared flatbread. The best of the bunch, the jumbo shrimps lived up to their name. As big as a small bird, they were divinely juicy and tasted like they'd been reeled out of the ocean that morning. Cleverly dubbed “fish tawouk”, the tenderly spiced kingfish melted off the fork, a testimony to its freshness. The mixed meat grill was a carninvore's dream. 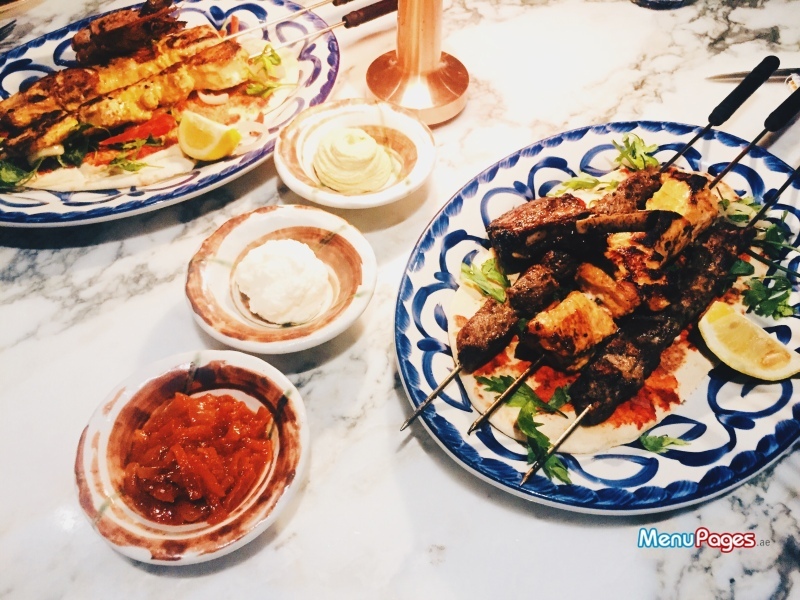 A rich spread of classic shish tawouk, lahm kofta, kebabs and lamb chops – all cooked to perfection – its flavors were truly highlighted when paired with the warm Middle Eastern salsa, garlic cream and pistachio hummus served on the side. Our traditional meal took a modern twist when dessert arrived. What looked like an art student's dissertation project turned out to be a basbousa cheesecake veiled under a muted white chocolate dome. 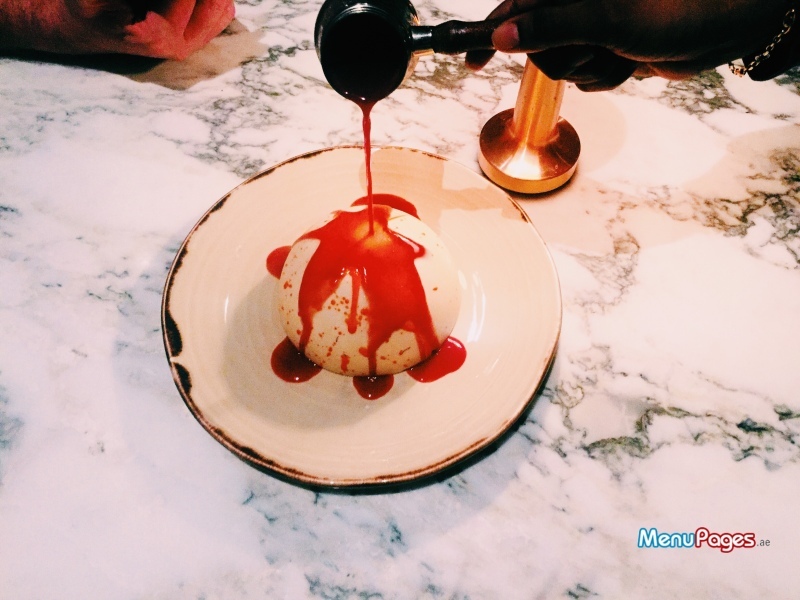 When drizzled with steaming berry sauce, the dome shriveled into nothing, revealing the basbousa cheesecake. Innovative and downright dramatic, it's no wonder this scrumptious masterpiece is one of Al Maeda's best-selling dishes. For a lighter end to the meal, I'd recommend the mango mohallabia. Growing up, I couldn't imagine mohallabia beyond the classic confines of chopped pistachios and saffron. Al Maeda adds some glitz to this ancient dish with fresh mango and crispy vermicelli. The chef visited our table mid-meal to ensure everything was sailing smoothly. Al Maeda's décor makes you want to eat. The ambience follows an exact formula of rustic touches and modern design, all tied together with charming Mediterranean flair. While enormous, it's neatly divided into cozy pockets of subtle lighting and luscious greenery. 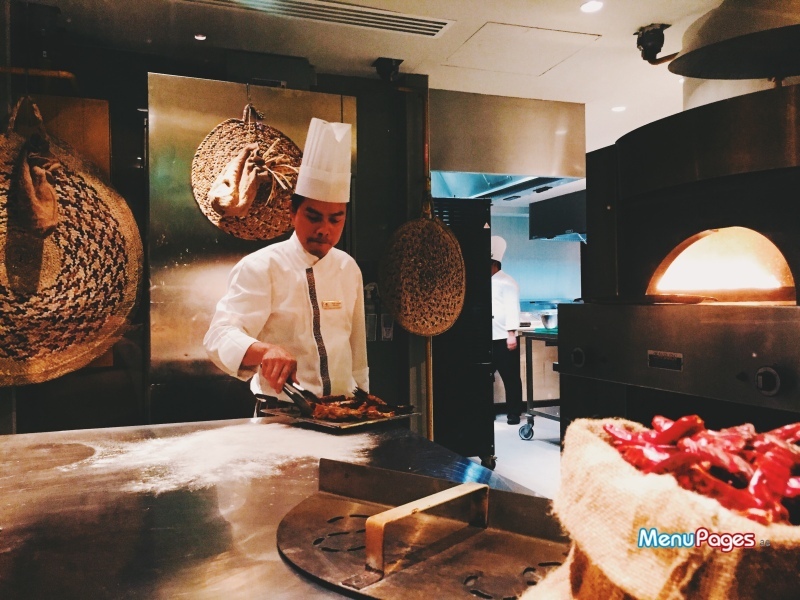 Guests can watch the cogwheels of the restaurant turn as the chefs publicly go about their business – kneading dough, plating hummus and baking Al Maeda's signature fresh flatbread. Our three-course meal for two amounted to approximately 500 dirhams. I would, even if just for another basket of Al Maeda's glorious homemade flatbread. Watermelon salad, eggplant fatteh, kebab fatteh, shish tawouk, lamb kebab, warm rice pudding with vanilla ice cream, mango mohallabia and the basbousa cheesecake.